- Different Models for DC12~24V. - Input for ON/OFF Controls. - Input for CW/CCW Controls. 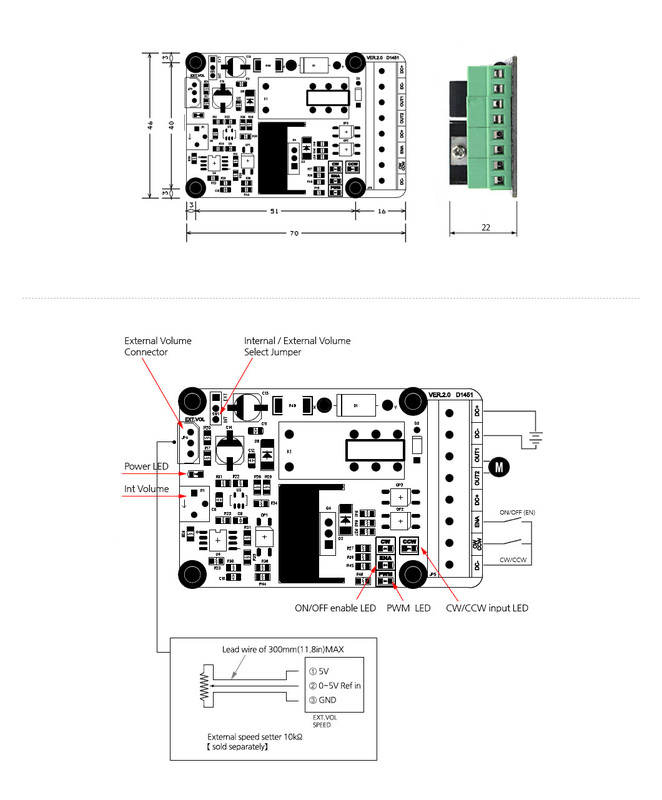 - Input volume external modular (Optional). - MAX 3A Output (5A possible to short the diode). 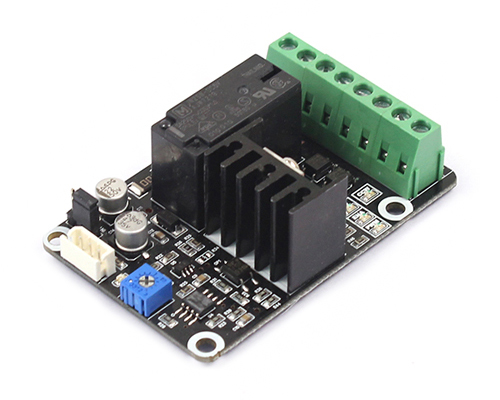 DC Driver(DCD-24V03A-V2) is developed to Control the speed of DC motors and the brightness of DC lamps. The DC Driver is appropriate to controls of motor speed and rotational direction as the driver has not only the same caracteristics as out old driver(DCD-24060), but also control fuctions of ON/OFF and CW/CCW. Also the driver could be inserted in panels and small cases as the dirver is compact and the driving condition could be indicated through LED lights. ·- Direction control using a relay, because it consumes less voltage than the H-BRIDGE configuration. ·- Software Noise chattering filter all input pins commented.